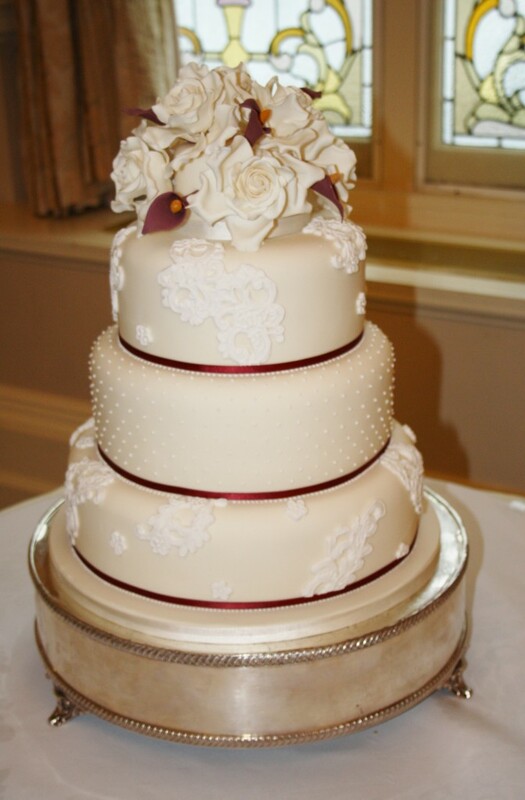 Three Tier Wedding Cake at The Grand Hotel, Eastbourne, East Sussex. 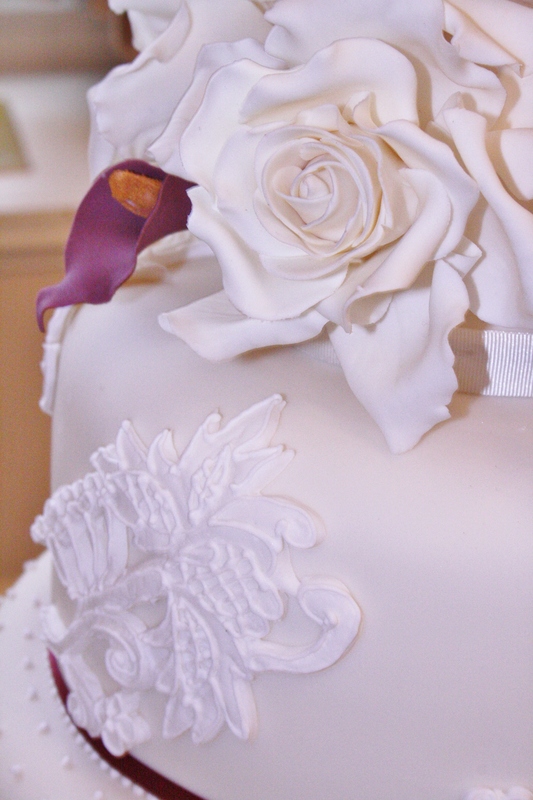 With Sugar Roses and Calla Lilies, Sugar Lace work over piped and piped microdots. Finished with plum satin ribboning. Base tier rich moist fruit cake, middle and top tiers both Belgian Couverture Moist Chocolate Sponge with Belgian Couverture Whipped Ganache filling. Cake serves 150 finger portions.